Endura lean Mass advanced is a revolutionary new product.It is a highly effective lean mass gaining supplement, formulated with rich blend of protien(Soy, Whey and Casien ),Creatine and Glutamine is known as anti -catabolic growth hormone maxiser and cell volumising agent, which assists muscles to recover after an intense workout . Malto Dxtrine*Supro Soy Protien Isolate, Malto Dextrine,Whey Protein concentrate,Whole Milk Powder,Casein,Skimmed Milk Powder,Creatine ,Sucrose,Palm Oil,Chromium Picolinate,Lecithine,Cocoa Powder,L-Glutamine,L-Arginine,Aspartic Acid,Emulsifying Agents (INS 322,INS 472),Vitamns and Minerals. 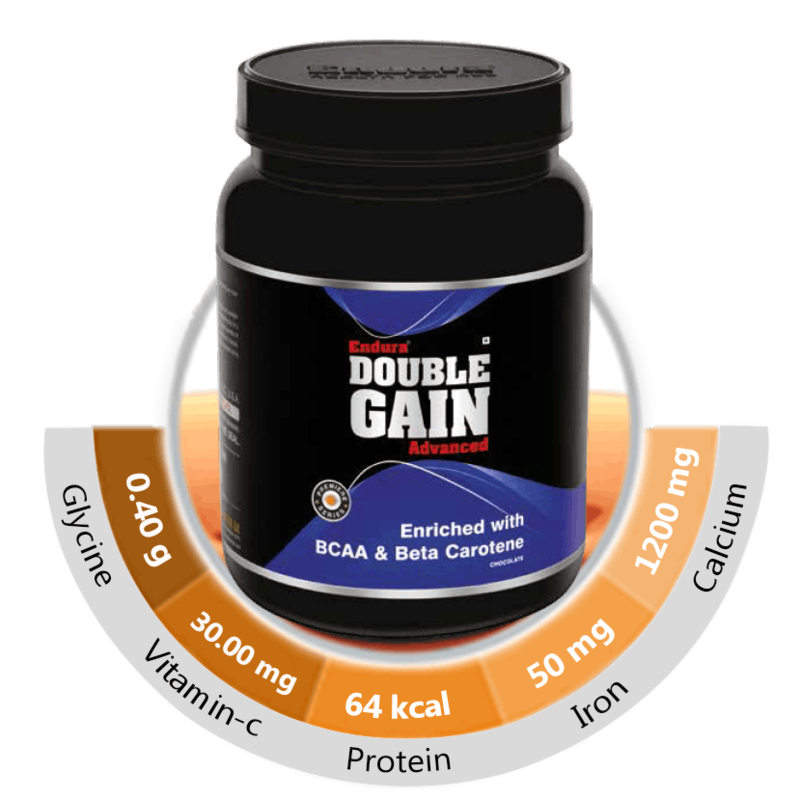 “Double Gain ,ensure ultra fast muscle gain and to help you acheive the optimal calorie intake,it is cruicle during any mass gaining cycle.."
Malto Dextrine,Whey Protein Concentrate, Whole Milk Powder, Supro Soy Protein Isolate, Skimmed Milk Powder, Sucrose,Cocoa Powder,Palm Oil, Lecithine,L-Isoleucine,L-Leucine,L-valin,Beta Carotene,Emulsifying agents (INS 322,INS 472),Vitamins and Minerals. 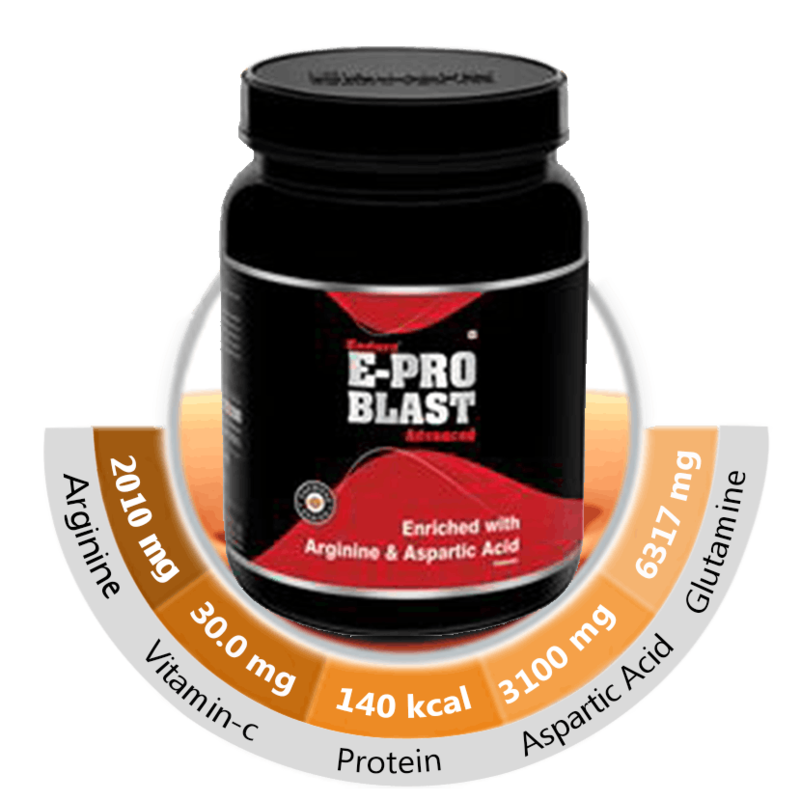 Endura E-Pro Blast Advanced is not only the most powerful anabolic formula, but also one of the finest food supplements avalable in the market today. Supro Soy Protien Isolate, Malto Dextrine,Whey Protein concentrate,Whole Milk Powder,Casein,Skimmed Milk Powder,Creatine Monohydrate,Sucrose,Palm Oil,Chromium Picolinate,Lecithine,Cocoa Powder,L-Glutamine,L-Arginine,Aspartic Acid,Emulsifying Agents (INS 322,INS 472),Vitamns and Minerals..
“Bursting fats is not enough to be fit, to build the strength of the body developing strong muscle tissues is very necessary; and who knows about it better than the professional fitness freaks. So, what do you need to build a strong muscle tissue? 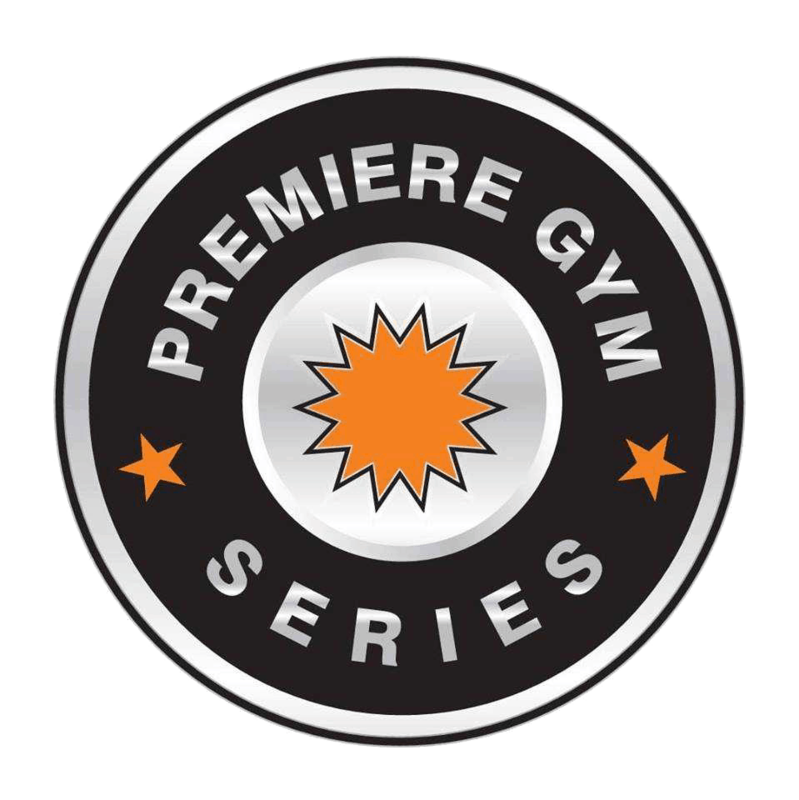 A continual source of amino acids and creatine. Amino acids are the building blocks of proteins that help in protein synthesis while creatine can improve the strength of the muscle in so many ways. 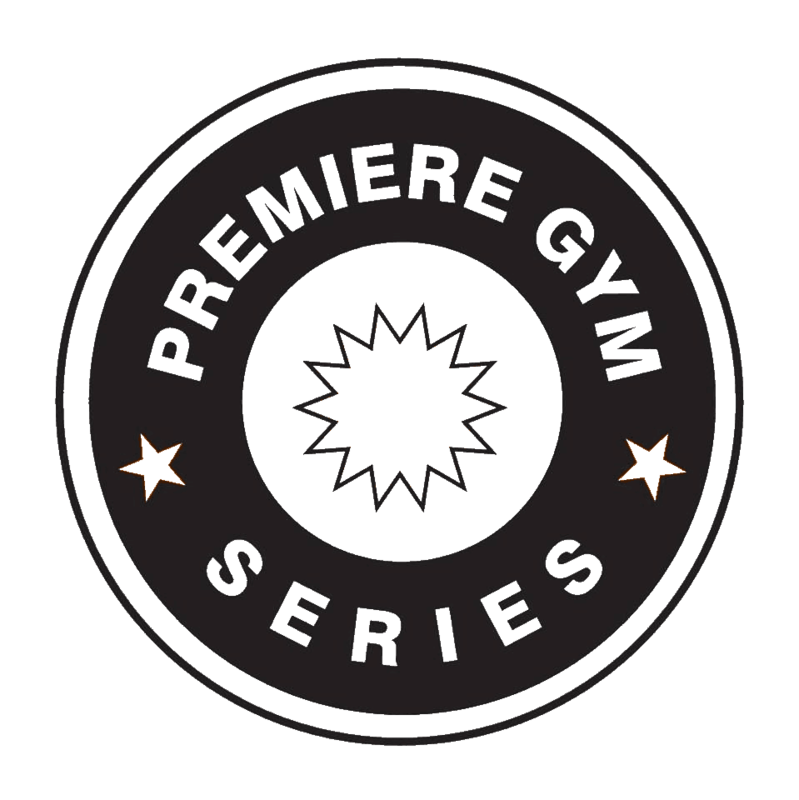 Therefore, the lean mass range of the Premiere Series has been extensively formulated to be the Best Mass Gainer Supplements in India."